So, for those of you who don’t follow entertainment news, here’s the big noise these days. Daniel Day-Lewis will be playing our 16th president, Abraham Lincoln, in a Steven Spielberg biopic slated to begin production sometime next year. The screenplay will supposedly be somewhat based upon the book Team of Rivals, adapted by Tony Kushner. So … yeah. Can we skip all the preliminaries and just go ahead and hand the guy another Oscar? I’m not exactly being flippant – I do think that DDL is a tremendous actor, and I think he’s an excellent choice to play Honest Abe, and that this is clearly the kind of project for which he pops out of his shell every couple of years. (Unlike Sherlock Holmes, sigh.) Plus, people love Lincoln. I predict this film will be a huge winner across the board, if/when it happens. Apparently there’s been noise about a Spielberg Lincoln project for a long time? 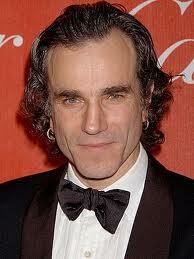 But if they’ve actually got someone of DDL’s caliber on board, they’d best run with it. Edit: Ah! I think I’ve got it. My favorite president has always been (since the second grade) Thomas Jefferson. And, inspired by reading a review of The King’s Speech, I nominate Colin Firth! He totally looks close enough, and I think he can pull off power with intellect. Once again, casting brilliance. Mornin’ Sam. Yeah, I heard about it on Friday… awesome! He’d be great as Lincoln… but then again this guy can play ANYTHING! Hmmm, not sure who my fave president would be, let alone who’d play him :0 I have to think about that for a while.